Pleased To Meet You, Hope You Guess My Name – Zero Equals Two! The BBC reports that thousand of people in a town in Spain are signing a petition protesting the erection of a sculpture depicting a happy Devil. The sculpture honors a local legend saying that the Devil built the town’s aqueduct. 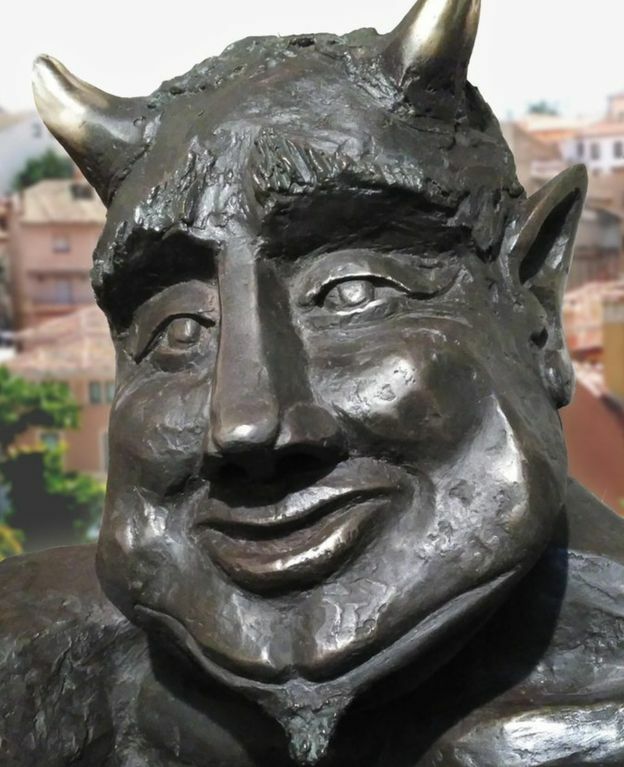 “A planned sculpture of Satan in the Spanish city of Segovia has been criticised for being too jolly. Damn! Devil can’t catch a break!